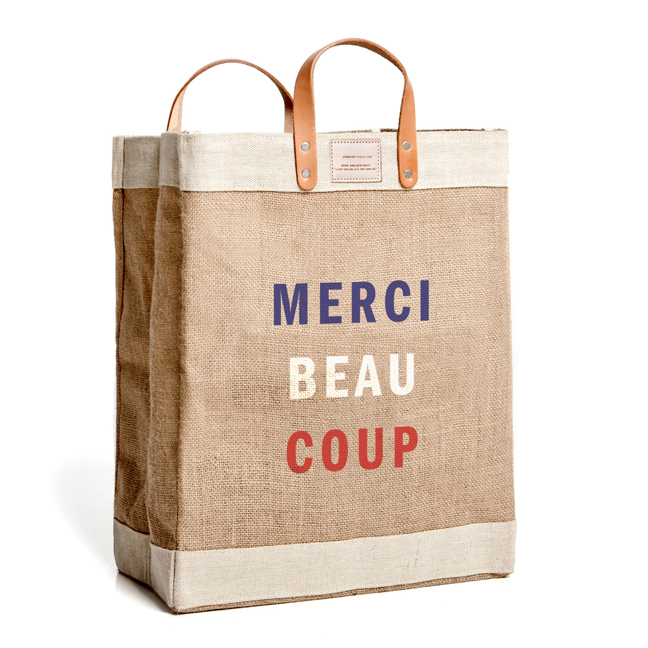 Our favorite shopping bag is handcrafted by an artisan women’s co-op in Bangladesh. Perfect for trips to the farmer’s market, grocery store, or even the beach, it is amply sized to carry a full market haul of fresh vegetables, groceries, or beach essentials. Made of natural jute it has a waterproof easy-to-clean lining and handles made of natural vegetable-dyed leather reinforced with nickel rivets. Sturdy and beautifully handcrafted with attention to detail, we know we’ll enjoy this bag and its timeless good looks for many years to come, wherever we happen to roam. The cookie cutter has long brought flat slabs of dough to life, transforming them into delightful, memorable treats. 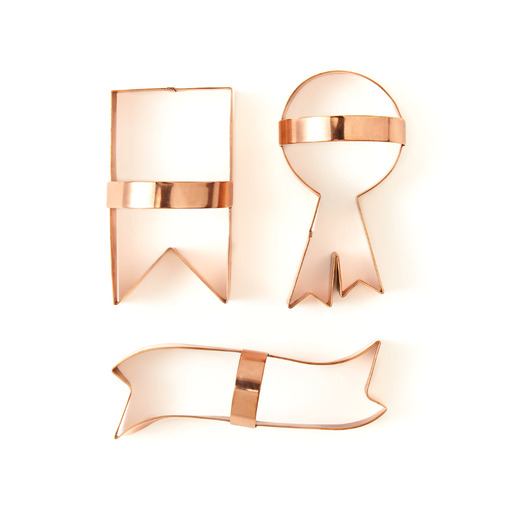 These traditionally made, solid copper cutters are sturdy as can be, and are offered in a set of three ribbon shapes. Use with your go-to sugar cookie or gingersnap recipe, or try them out on your favorite tea sandwiches for some tasty little prizes. Aesthetic and ethics meet at the crossroads of every Armadillo & Co creation. 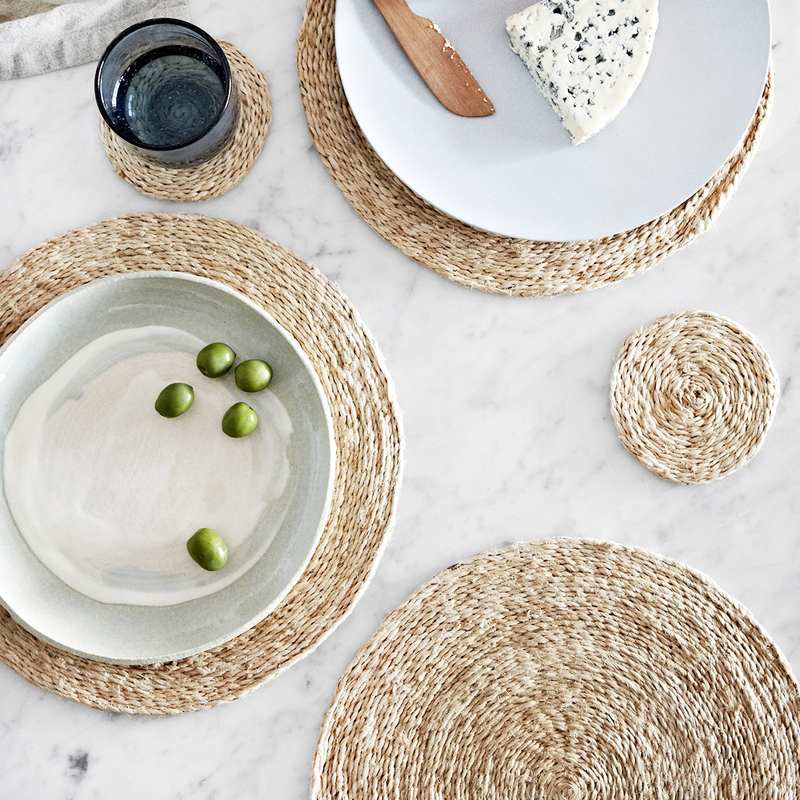 Rugs and tabletop sets are 100% handmade and crafted from sustainable natural fibers. The Australian company insists upon Fair Trade practices, and all purchases benefit local schools in the weavers’ villages. 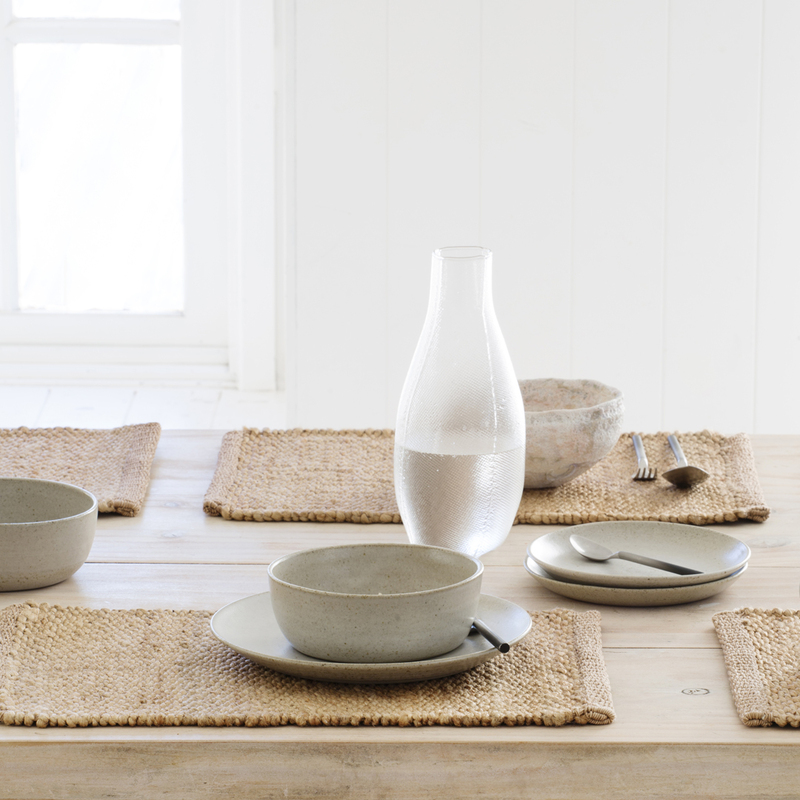 Rustic yet refined, this set of six placemats, handcrafted from a blend of jute and cotton, confer wholesome flavor to any place setting. Please allow up to 2 weeks for delivery. 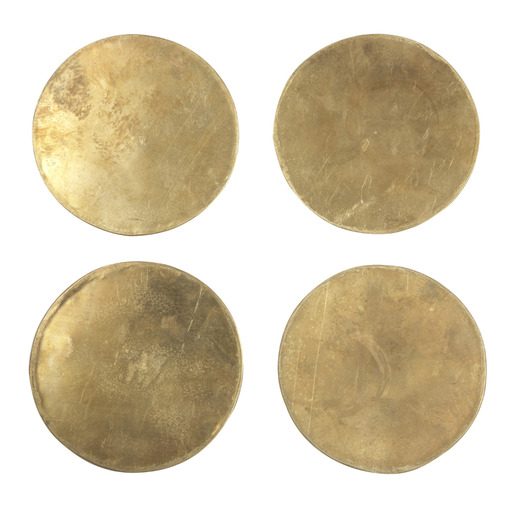 A set of six circular placements and matching coasters made of tight coils of jute are a lively way to add texture to your tabletop tableau. Please allow up to 2 weeks for delivery. What we admire about so much about Sir Madam is the way they create new pieces that look like family heirlooms, passed down through the years. The ubiquitous S-Hook is given an honest-to-goodness makeover by being re-cast in solid brass with a rugged, rough-hewn finish. 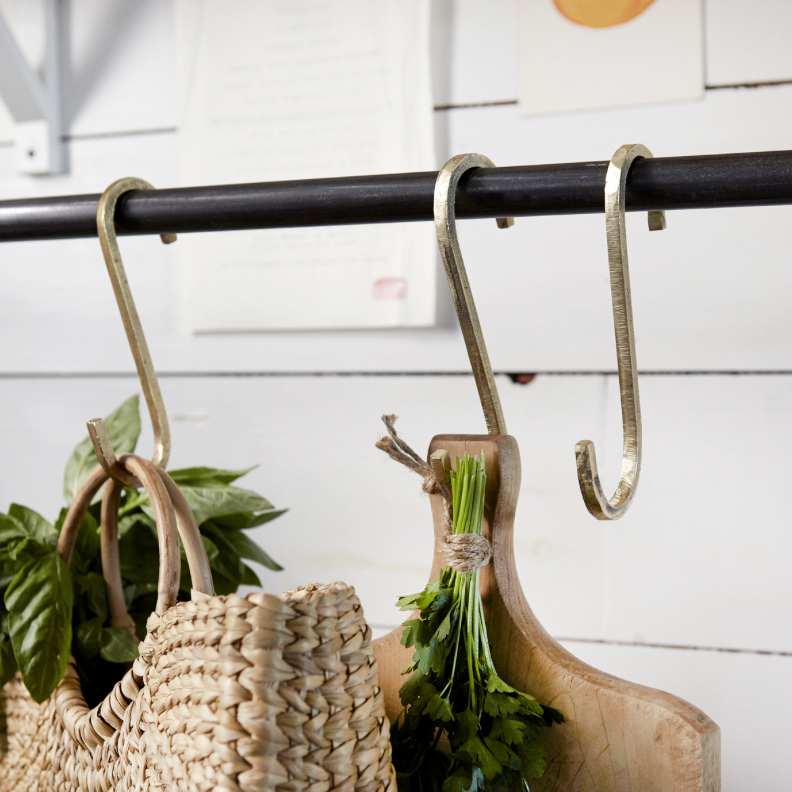 Useful in a kitchen for hanging pots and pans or for drying herbs, they also make for inventive jewelry and apparel displays. What we admire about so much about Sir Madam is the way they create new pieces that look like family heirlooms, passed down through the years. These exquisite coasters are certainly no exception. Of very high quality and possessing a beautiful, soulful patina—the result using pure metals left raw to oxidize naturally—they are not only elegant, but extremely useful. 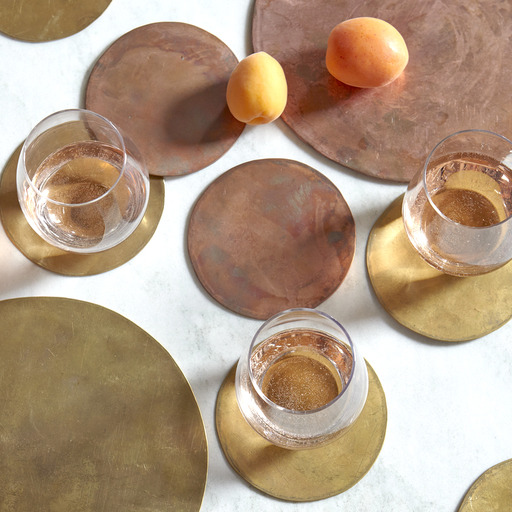 Coasters are sold in sets of four, in your choice of copper or brass, backed with natural cork to protect surfaces. No two are alike. 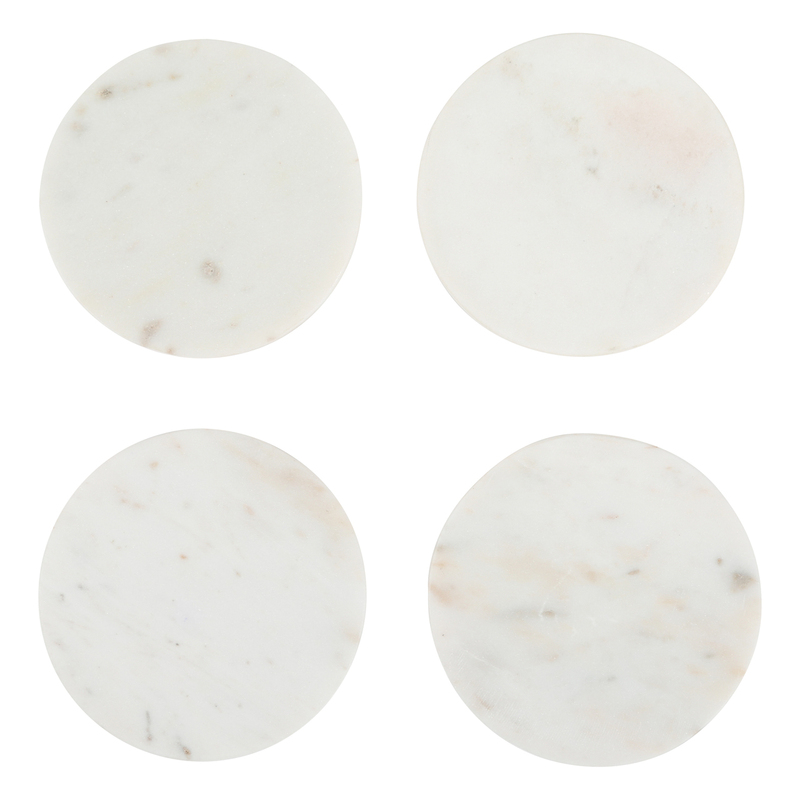 The beautiful grain and vein of the stone takes center stage in these modernist marble coasters by Sir Madam. Elegant, and extremely useful, they are also easy to care for. Coasters are sold in sets of four, backed with natural cork to protect surfaces. No two are alike. 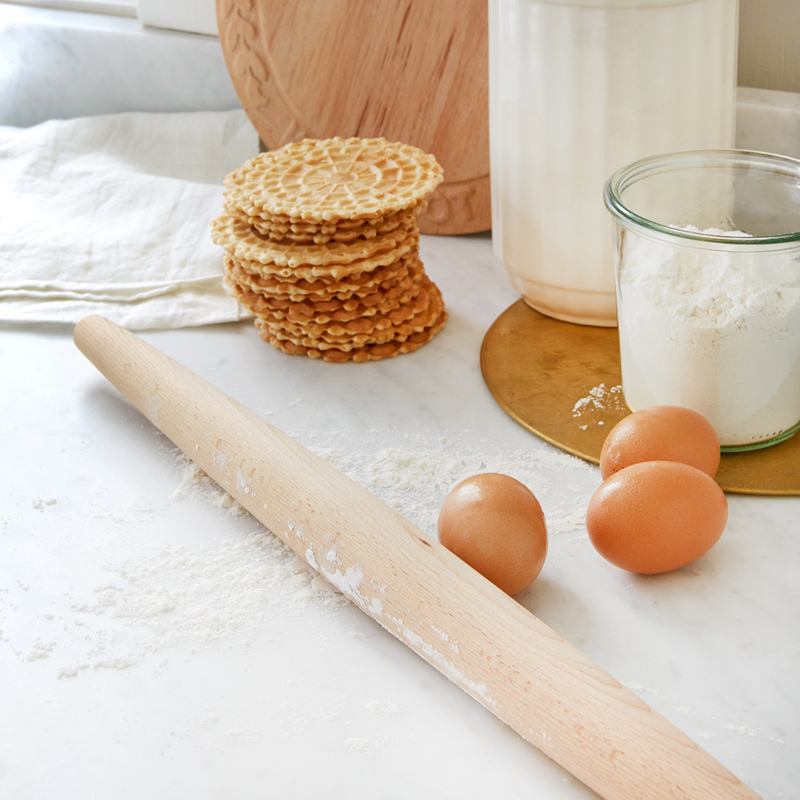 Equally at home in a true “bread kitchen” or in that of a novice baker, Sir Madam’s lightweight French-style rolling pin offers increased maneuverability and controlled pressure. Each one is crafted of beechwood by artisans in the Midwest and comes in a giftable cotton, muslin pouch. With its gentle curves and slender shape, this elegant tool fits easily into a utensil crock.